This car belongs to one of my good friends. He needed a car, and I searched for a car in his budget that he would like. Then he got this. I automatically decided not to like it, because it was an automatic. Why I fixate on stick shifts, I do not know. Anyways, my friend and I, we tend to disagree on everything relating to cars. He likes Mercedes the best, I like BMW the best, He loves trucks, I don’t “love’ trucks, etc. So it’s inevitable I should not like his Ranger, right? Wrong. No matter how hard I try to dislike it, I can’t ignore the Ranger’s charms. Flaws first. The AC didn’t work properly in the summer. The steering has no feel in it. Whenever you turn the wheel sharply, the body leans like you’re going to flip it over. The ride is harsh. It’s noisy. The crank windows are irritating. But despite all these flaws, I like this truck. The latest trucks are nice and powerful, but I feel that they have strayed from their role. 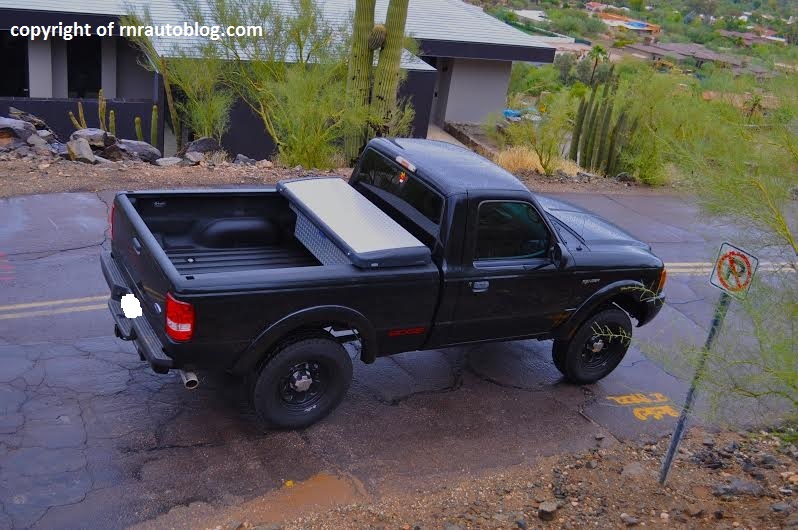 A truck is supposed to be a tough and durable and honest vehicle, but now they are building them to be luxurious and fast.The Ranger’s V6 makes 154 horspower and 180 pounds of torque, which you wouldn’t think is enough in today’s power frenzied society, but you would be wrong. 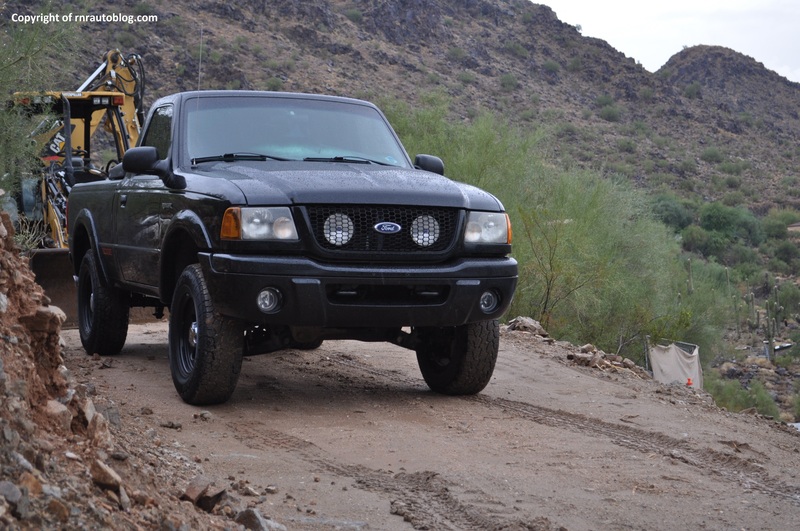 This is a strong engine, and the Ranger is light. 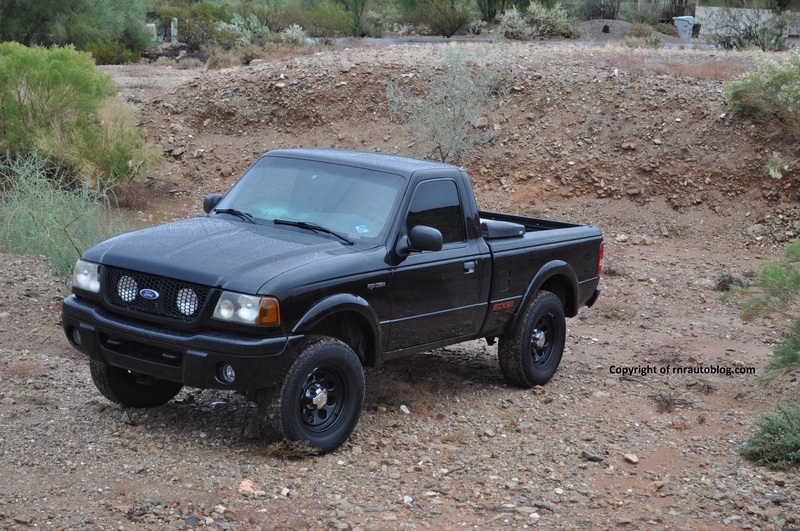 Sure, the latest foreign trucks such as the Toyota Tacoma and the Nissan Frontier would beat it in a drag race, but the Ranger can hold its own. Going up a hill, the engine never faltered. And the five speed automatic transmission shifts smoothly except for a few rough upshifts at times. But what I really like about this engine is the engine note. Whenever you fire the engine up, it has a snarl that is reminiscent of an American V8. If you’re going to have an American car, you might as well have an American engine, even if it is a V6 or a four cylinder. The steering system, which is a rack and pinion set-up, is an outdated system (by today’s standards), but it works. Yes it may be numb, but it is decently quick and of reasonable weight, and you feel like the wheels are actually connected to something. 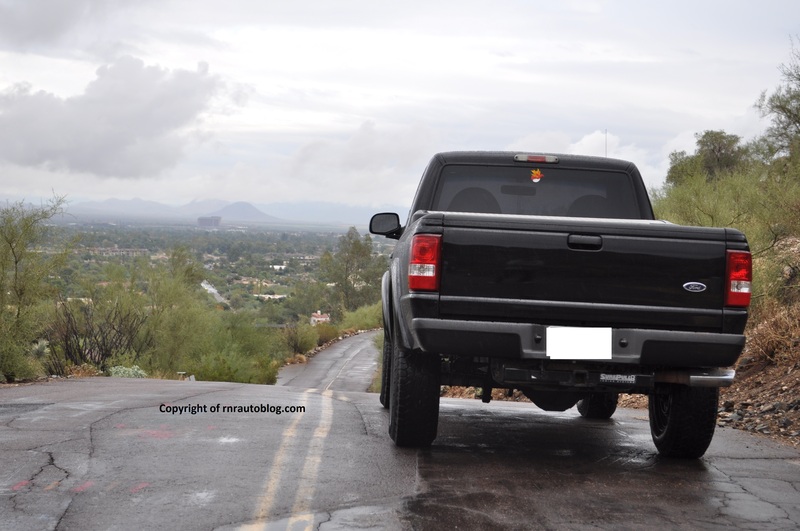 Provided that you don’t attempt to flip the car over, it does handle nimbly for a truck. The ride quality is harsh and bouncy though, as a result of the car being lifted. It is noisy, but it is not uncommon for a car this old. The interior is all function, and not form, which is what you expect of a truck. All the controls work exactly as what they were intended to do so. This is back when Ford was skimpy on interior fit and finish, so it’s not surprising to see screws and panel gaps. The screws are visible on the taillights as well. The seats have decent support, and it’s roomy in the cabin. 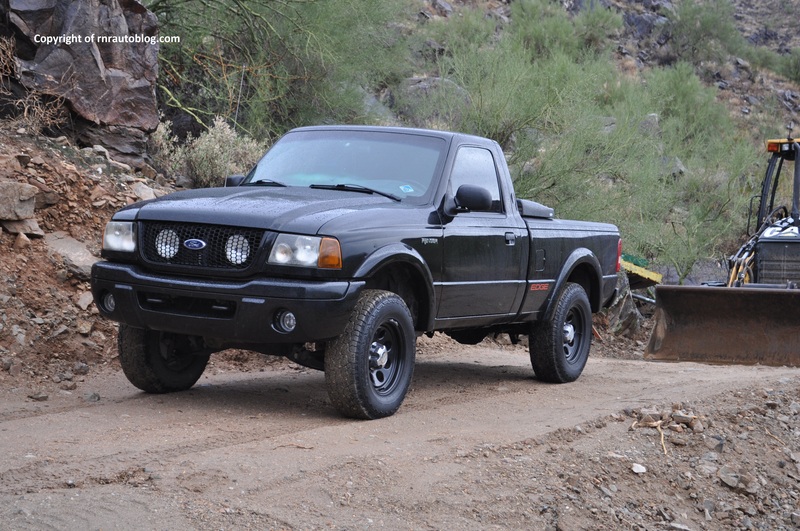 Despite all these flaws, I really like the Ranger. 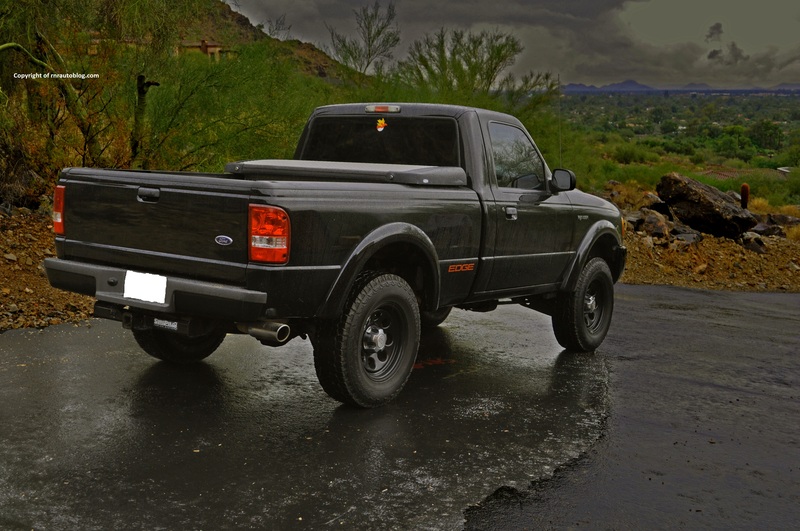 In an era when trucks are getting bigger and becoming more luxurious (Ford F150 King Ranch…Really? ), the Ranger reminds us that life is all about the simple things. 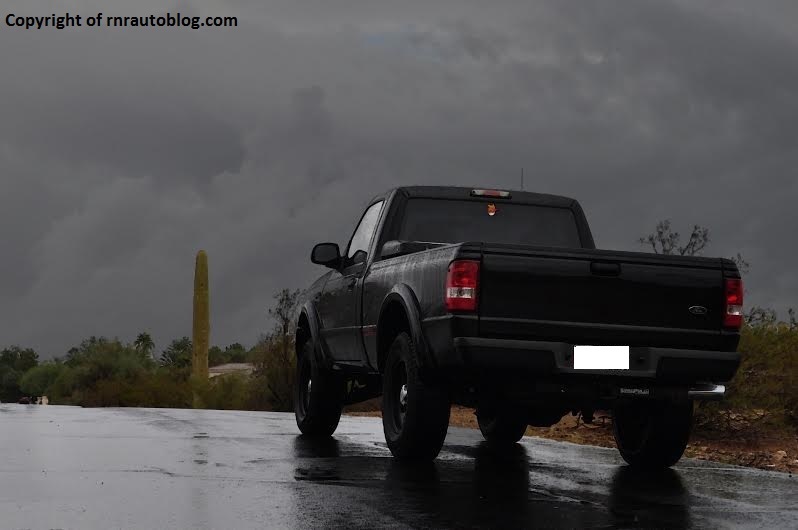 Without all these luxuries, you are able to focus on the truck as a whole, not focus on the amenities it has. I believe, that you can truly appreciate how honest this truck is. 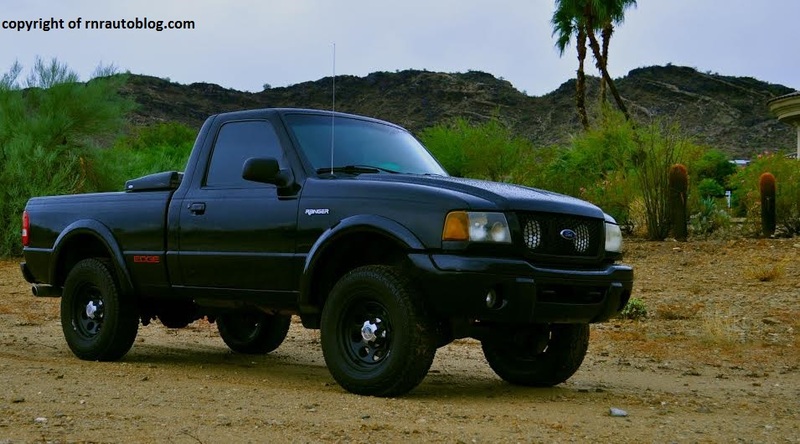 I really think they should bring back the Ranger because it has a reputation as a dependable compact truck, and Ford shouldn’t alienate its following for its F150. Driving the Ranger, I was reminded how honest this truck comes across as. 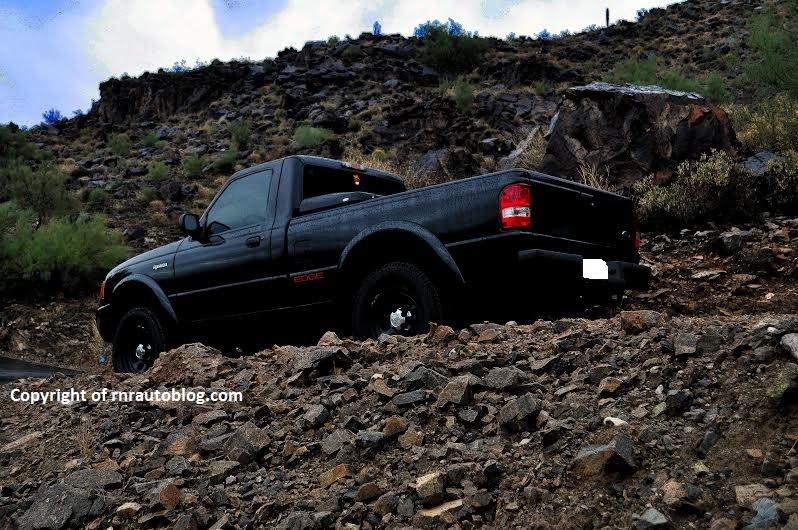 Trucks are meant to be honest working vehicles, which the Ranger fits the bill. Like I said, it’s all about the simple things. Credit for the editing goes to my friend Y. Sivakumar.